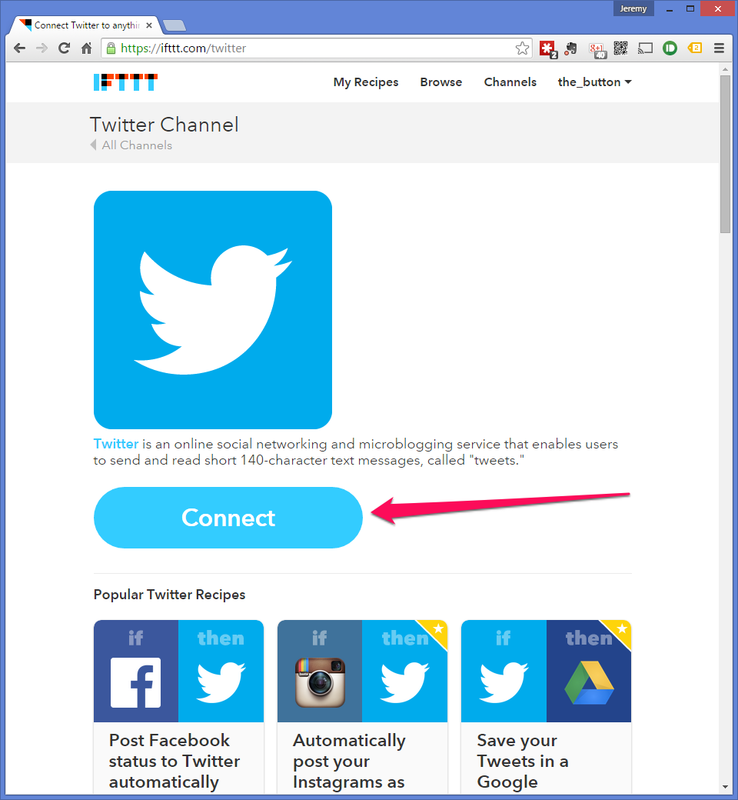 IFTTT have recently released a new channel for easy integration with 'DIY' projects. You get the idea, if something happens then do something. This is all great, apart from you are limited to only the 'channels' supported by IFTTT. That is until now. The new Maker channel can both receive events via a simple HTTP/REST API and make simple HTTP requests in response to events from other channels. This enables easy integration with your own custom projects. 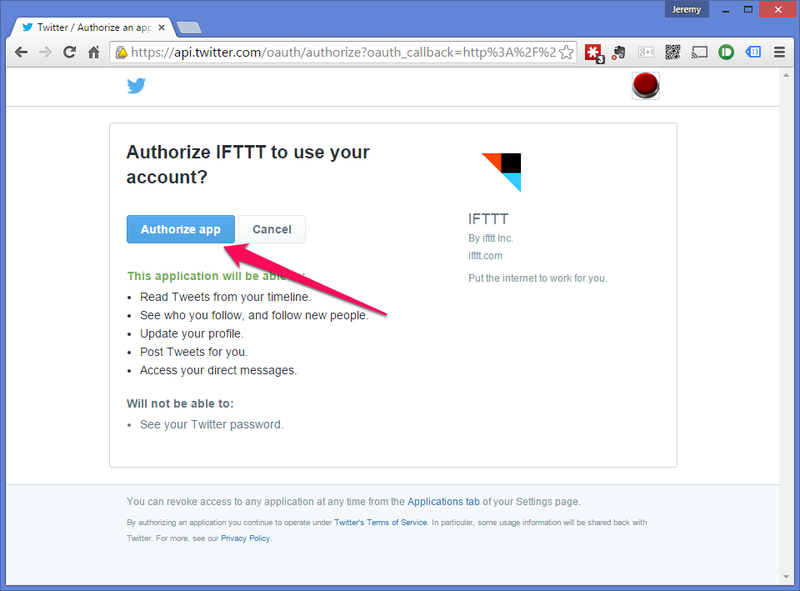 As an example lets make a button press send a Tweet via IFTTT. The Maker channel only has the one trigger so select 'Receive a web request'. Now for the hardware. For this I am using Adafruit's HUZZAH ESP8266 Breakout as this is a bit more friendly for development but this should work just as well on any ESP8266 board like the ESP-01. It is a fairly simple circuit, just an LED for status (not strictly required with the HUZZAR as it has an LED on board but helpful for other ESP boards) and a button with a pull up resistor. The software is nice and simple, it is based on the WiFi Client sample code from the ESP8266 Arduino core as well as the button de-bounce example. *  This sketch sends data via HTTP GET requests to IFTTT Maker channel service. // has been pressed so send the event. // the connection will close when the server has sent all the data. And just to finish off here is a link to another tutorial on using the Maker channel.